Google Instant Search could be a pain for SEOs but not always. It can be useful for instant keyword research. The pain comes when you want to show more than 10 search results on a page and can’t find how to turn it off. 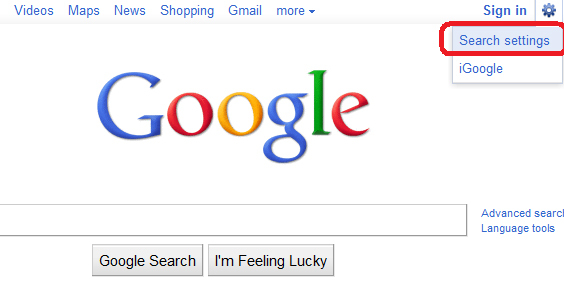 In the beginning when Google launched Instant Search it used to show Instant is on to the right side of Search box. However people because cleverer and they started to turn it off. 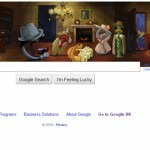 So some more clever arse in Google decided to hide it further from the visible eyes. Even I was not aware of it and kept ignoring it. In IE it always used to grey out the Instant Search option when you go for Advanced Search option to change the settings to show more than 10 search results. I looked around the search page to find out if there is any settings to get this nasty stuff fixed and then I discovered the settings. There is a minute settings icon in the top right corner of the browser window. 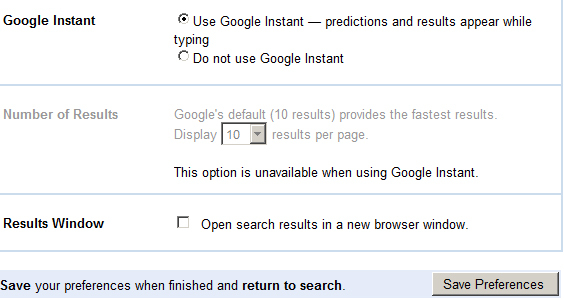 Click on that to reveal Search Settings and then from search settings page you can change the options. However this is not it. There is more twist to this twisted settings. That small icon doesn’t appear all the time and in all browser. I only see that small icon in IE and not in other browsers, or may be in Chromes as well. But it certainly doesn’t show up in Firefox. Just when you thought that is it, there is more to come. 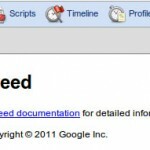 In IE that small setting icons only appears for Google.com and not for Google.co.uk where it shows the text. LOL! sometimes Google can be a real pain in arse. Hooray, I’ve done it! I have finally managed to you turn off Google Instant. On the right-hand side, just below the top of the page where it says Sign in’ you will need to slowly move the mouse just below this and it should bring up a small box with the words Google settings and Google in. Click on Google settings and scroll to the bottom of the page where you will see the option to turn on or off Google instant. Click the off position and scroll down a little further to confirm this and it’s done. You will have to do this on a daily basis for about a week but then hopefully it will be automatically on your default setting and hey presto, it’s off for good. I found it by accident to begin with but just be slow and patient and you will find the small box, which for some reason Google seem to want to hide from its users. I hope this helps everyone? You can be now classified as a geek ;) welcome to the geek club. I could have never found that small icon. It is pain why Google doesn’t make it obvious rather than hiding it. Thank you so much! Google Instant was getting on my nerves. I hate it so much. I have just found out that the Save Preferences is the thing I did not see, lol! THANK YOU SO MUCH I CAN FINALLY SEARCH FOR STUFF WITH OUT LAGGING LIKE NUTS!!!!! Thank you very much. I came upon this page when googling “How to turn off Google Instant”. Apparently, Google Instant is turned on by default. On my home computer, I had Google Instant turned off when the option to do it was very obvious and next to the search bar. It never bothered me again but when I went to the library, Google Instant was on and the option to turn it off wasn’t in the obvious location anymore. If everyone wants to turn off Google Instant, Google should take a hint. Making it harder to turn off isn’t going to fix anything, it’s just going to make things worse. I never come across that kind of error. 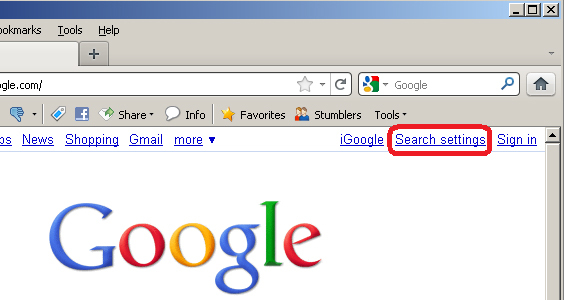 You can always go back to Google.com home page and change settings when you are there. It should not show any error from home page.